We've been developing Magic Camera for the last 7 years. Now Magic Camera ranks #3 popular downloads in CNet webcam software category. Over 7 millions people have already downloaded Magic Camera. Now we have paid users in over 40 countries. No watermark, full functional software! That’s about $1.6 per month! License never expires. Allows up to 6 computers belonging to the same Family; Non-commercial use only. 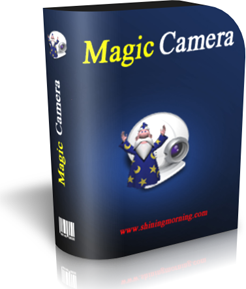 Buy Magic Camera, Get Virtual Audio Streaming for FREE. Both are Standard License with Lifetime Upgrade. Instant Serial Number delivery after your payment. Enhanced technical support. E-mail response within 24 Hours for paid users. No watermark, fully functional copy of the software. No Monthly Fees, no hidden charge. High priority on feature suggestion of the program. OEM Version (Customization) is also available. Send us email for price. 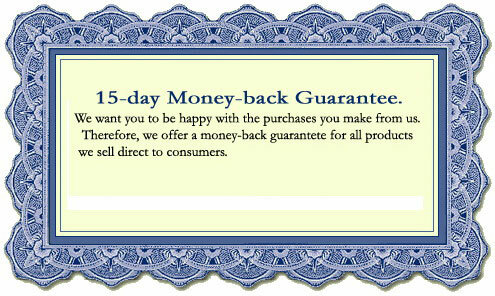 We would like to remind you that the online ordering process is automated and secure. The online ordering is 100% secure! All data exchanged during the payment process is SSL-secured. Important information such as credit card numbers, addresses, etc. can be sent securely. Add "webcam effects made by Magic Camera" logo on the video. You will receive an email with your license code immediately after sending the online order form. Then you can get Magic Camera registered.